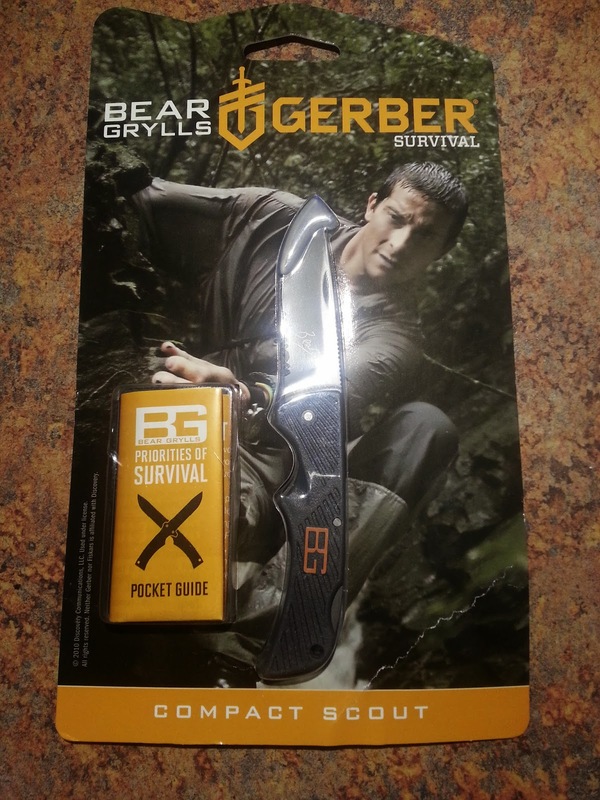 Bear Grylls Gerber Knifes are definitely something that we are familiar with in my household. My Husband owns several of them and uses them both at home and at work. Swords of the East is a really cool company that sells everything from Gerber knifes to Katanas and Samurai Swords. They were supposed to send us the Gerber Ultralight L.S.T. Fine Edge Knife to review. Unfortunately, they were out of them and sent use the Gerber Compact Scout instead. 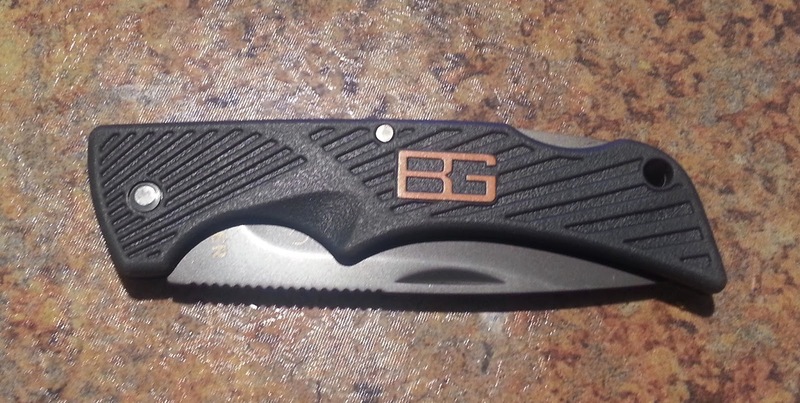 The Gerber Compact Scout is a smaller pocket knife. The blade is 2.5 inches. To be honest with you, we are used to much larger pocket knifes. My Husband said that it feels like his pocket is empty when this knife is in it. That can be a good thing if you are not used to the weight of the knife. This knife also does not have a belt clip, so it would need to be inserted inside the pocket. This knife would be a great first knife for a responsible child or teenager. It is sharp enough to cut simple things like string or to open packages, but it isn't super sharp like the other Gerber knifes we own. It would also be good for females to carry around since it is smaller. My jeans are always on the tighter side and I couldn't carry a big knife, but I could carry this compact scout knife. If you are in need of a new knife....or I don't know...a KATANA check out Swords of the East. PS- I want a Katana! Nice review. Thank you for sharing. My husband loves this brand! They make really good stuff! This sounds like a great knife and I love Bear! Thank you for the review.